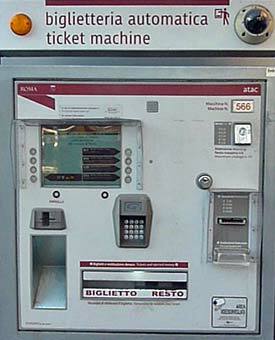 Step 1: Look for ticket-vending machines at Metro stations and larger tram stops. When you're ready to buy tickets, have a supply of coins in your hand. Step 2: Select your preferred language and the type of ticket that you need by tapping the touch-sensitive display. Step 3: If you want more than one ticket, use the round metal buttons on the right side of the screen to adjust the number. Step 4: When you're ready to make your purchase, insert coins or a banknote in the appropriate slot on the right side of the machine.